Jari’s class delves into the building blocks of glass jewelry architecture. Learn a variety of techniques in this project class, imagining new ways to make connections. 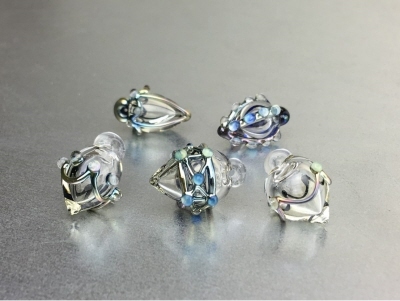 The one day course will explore mini hollows, twice pulled twisties, how to create small loops, tiny blown pods, murrine droplets, all in silver glass.